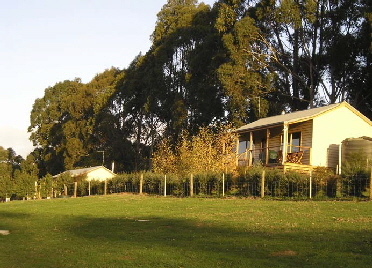 At Birchwood Retreat, when you settle into one of the three self-contained quality cabins, the picturesque Strzelecki Ranges are your backyard. 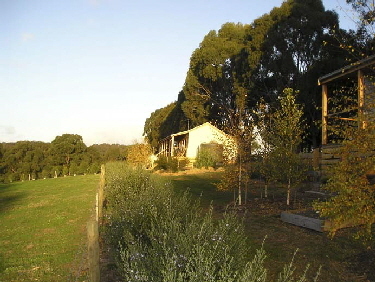 Out front, spacious and unspoiled natural grounds provide more scope for bush walking. Tucked away are barbecue facilities you're free to use. Cyprus and birch trees, grasses and rushes, native trees and shrubs add to the atmosphere and ensure your privacy. 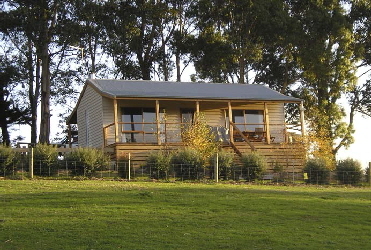 Cottage 3 has two bedrooms with queen beds in each and the second bedroom has a set of bunks. (sleeps 6). All cottages have spacious/open plan living areas, with fully equipped fully self contained kitchens. Cottage 3 has full disabled facilities as well as a second toilet and laundry, making cabin 3 the ideal extended stay location. All bedroom, bathroom linen and accessories are supplied. In the true country tradition, a cosy wood heater in the living area provides ample heating while creating a special ambience. 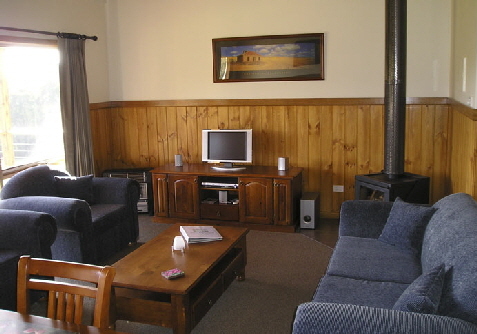 Each cottage is equipped with a television and DVD player and provides parking for two vehicles.